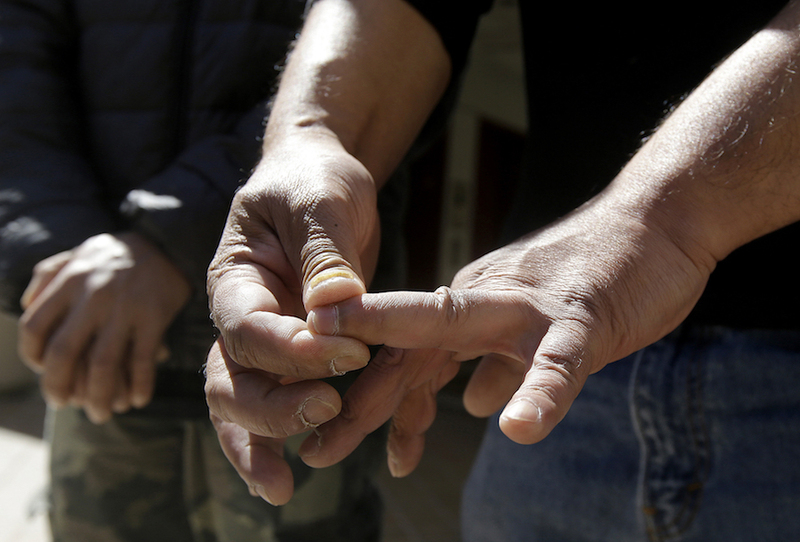 SAN FRANCISCO – Two Indonesian fishermen settled their lawsuit Wednesday against an American fishing boat captain whom they say enslaved them on his boat for eight months before they escaped in San Francisco. 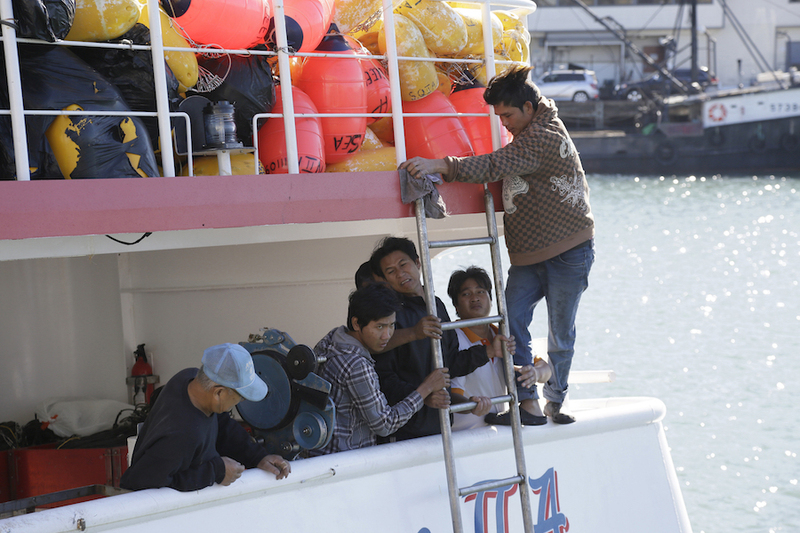 Under the settlement, the owner and captain of the Sea Queen II, Thoai Van Nguyen, must give fishermen flyers enumerating their rights under U.S. law and employment contracts in their own languages. The plaintiffs were also awarded a confidential settlement award, according to a statement by their attorneys. Sorihin, who uses only one name, and Abdul Fatah sued Nguyen in San Francisco federal court in September 2016, claiming they were promised good jobs in the American commercial fishing industry. Instead, the men said, they were taken to sea from Jakarta, Indonesia, in an American vessel and transferred against their will to the Sea Queen II in the middle of the Pacific Ocean. Onboard the Sea Queen, Nguyen confiscated the men’s passports, forced them to work 20 hours a day in the waters around Hawaii and California for less than they were promised, abused and humiliated them, denied them medical care for injuries sustained on the job and demanded thousands of dollars if they wanted to leave the ship before their two-year contracts expired, the men said. They fled the boat after eight months while the Sea Queen was docked in San Francisco, grabbing their confiscated passports and sneaking away after Nguyen left to visit his home in nearby San Jose, according to the lawsuit. Under the settlement, Nguyen must guarantee his fishermen access to their passports, medical care for their injuries, minimum rest hours, free protective clothing and the right to end their contract early without a penalty. Nguyen has agreed to use only reputable labor brokers, and to provide his men with contact information for help lines and legal assistance for those whose rights are violated. Sorihin and Fatah sued for unspecified damages for fees they paid and wages they were promised, mental anguish, pain and suffering, and the loss of educational and business opportunities. The case was the first brought under the U.S. Trafficking Victim’s Protection Act, according to their lawyers. The International Organization for Migration, a Geneva, Switzerland-based organization that works with governments and migrants on migration issues, says labor trafficking has become entrenched in Indonesia’s fishing industry. In 2015, hundreds of fishers trafficked from abroad to work in Indonesia were rescued from unregulated fishing vessels around Indonesia’s Benjina and Ambon islands, according to the organization. Parties including the U.S. Department of State have also accused Thai fishing vessels of enslaving fishermen. Lynn Krieger of Lewis Brisbois Bisgaard & Smith represented Nguyen.